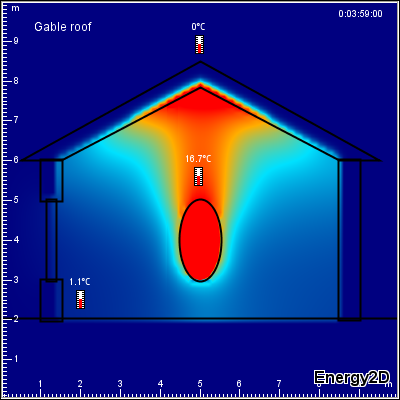 Based on computational physics, Energy2D is an interactive, visual multiphysics simulation program that models all three modes of heat transfer—conduction, convection, and radiation, and their coupling with particle dynamics. 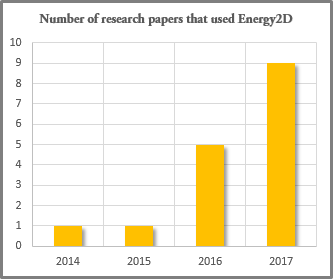 Energy2D runs quickly on most computers and eliminates the switches among preprocessors, solvers, and postprocessors typically needed to perform computational fluid dynamics simulations. It allows you to design "computational experiments" to test a scientific hypothesis or solve an engineering problem without resorting to complex mathematics. Work is also underway to incorporate other types of energy transformations (e.g., phase changes and chemical reactions through the Stefan condition), to support multiple types of fluids (e.g., air and water), and to provide sensor interfaces for creating mixed-reality applications. How well does it model reality? 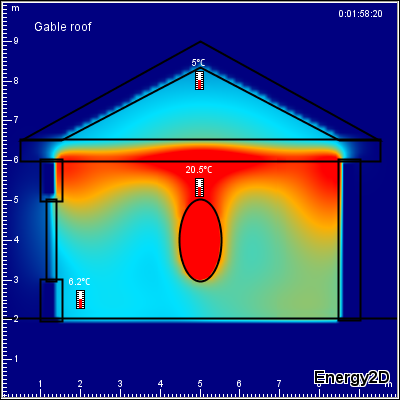 The conduction part of Energy2D is highly accurate, but the convection and radiation parts are not 100% accurate. Hence, in cases that involve convection and radiation, Energy2D results should be considered as qualitative. 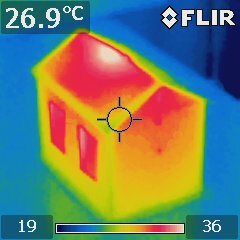 The pictures to the right show a comparison of the results of Energy2D simulations with images from infrared (IR) thermography for a simple model house. 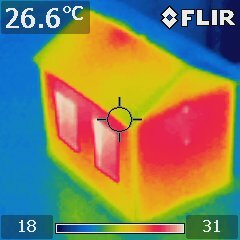 The thermal patterns predicted by Energy2D roughly match those from an IR camera. How many papers have used it? How many books have recommended it?